Hand in Hand – Together We Can! 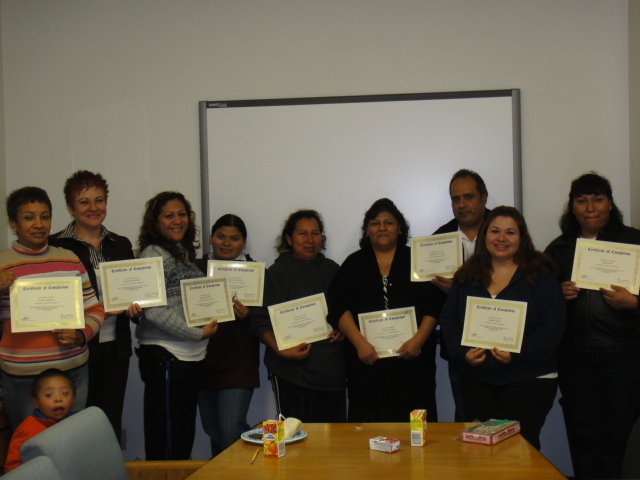 Mano a Mano – Juntos Podemos – that’s the name of a new DSAOC program designed specifically for our spanish speaking families. With funding support from the OC Children & Families Commission this ten week course is focused on enhancing early literacy skills for children 3-6 years of age, while helping parents to better understand the IEP process, as well as improve their own language skills. Initially the program, which already has a wait list, is limited to 15 families with planning under way for expanded sessions in the Spring. Sessions are being conducted each Saturday at the DSA OC Center. Posted in All Posts, Education | Comments Off on Hand in Hand – Together We Can! DSAOC is pleased to announce that Elizabeth Hardy has been selected as the recipient of its 2009 Educator of the Year Award. 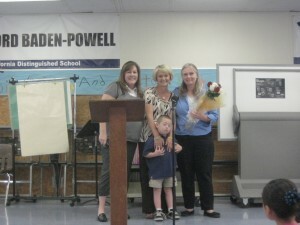 Ms. Hardy is a Special Education teacher at Lord Baden Powell Elementary School in Anaheim. She was recently presented the award during an end of year student assembly. Susan Smith is the school’s principal. Nominations for the award were submitted by parents, and open to all K-12 educators teaching in Orange County. This is the 11th year that DSAOC has presented the award which celebrates educators whose outstanding efforts and innovations have helped a student learn and grow on a pathway to reaching their full potential at school, work, and in the community.